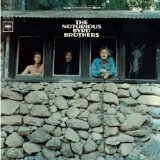 The Notorious Byrd Brothers is ranked as the best album by The Byrds. Members who like this album also like: The Beatles (The White Album) by The Beatles, Abbey Road by The Beatles and Revolver by The Beatles. Showing latest 5 ratings for this album. | Show all 343 ratings for this album. Without question, the Byrds' best. Not a bad track of the lot. From the weird to the wonderful to the sublime, the band hit this one out of the park. Favorite tracks are Goin' Back, Natural Harmony and Draft Morning. A true classic, it should be rated higher. My favorite Byrds album without a doubt. It flows and ebbs with some kind of manic, yet restrained, energy. I’m disappointed that the average rating isn’t a bit higher, but it’s probably a case of age slightly affecting an album’s sound. A must listen for anyone even semi-interested in the evolution of psychedelic/folk rock. Underrated for sure. Beautiful blend of psychedelic folk, rock, and country. Trip-inspired studio effects and lyrics. You'll hear why this album is so revered. This is the best byrds album. It starts off fantastically with artificial energy and has other great tracks like get to you and the wonderful cover of Goffin-King's wasn't born to follow. The only disappointment is the other Goffin-king effort Goin' back, it just seems out of place here. Anyway, still a brilliant album. Not as stirring for me as Younger Than Yesterday, but this and YTY are their best, miles above the others. Consistently experimental, attractive, jangly and influential. A fantastic album. The first one without David Crosby but it is up there with "Younger than yesterday" as their greatest work. Trippy stuff !